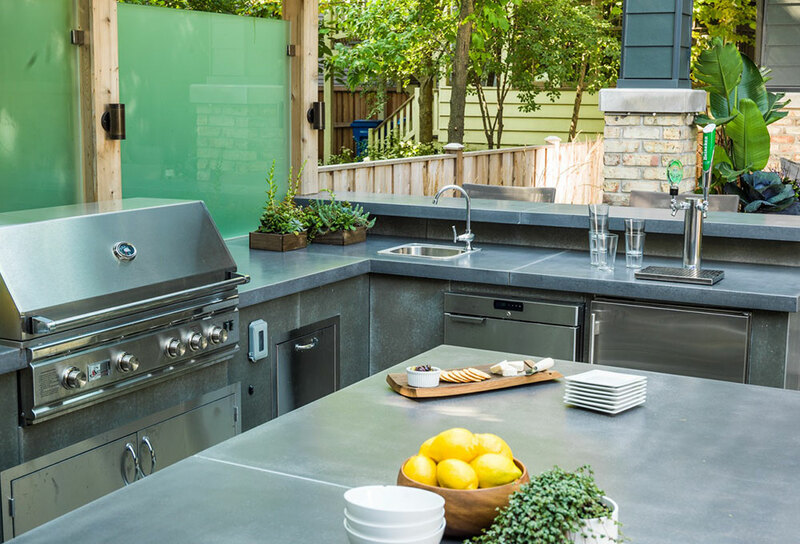 Working with the homeowners, we helped transform this outdoor space into a chef’s dream outdoor kitchen and entertaining space. Complete with a grill, ice-maker, refrigerator and dual tap kegerator, this space is the toast of the neighborhood. 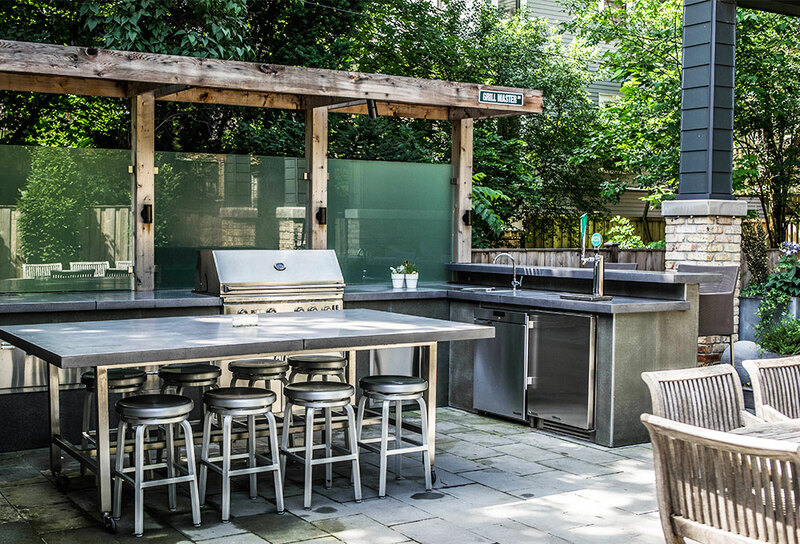 Our team designed and fabricated custom concrete panels and countertops that mirrored the design intent of the interior while still giving the space that ‘outdoor’ feel. 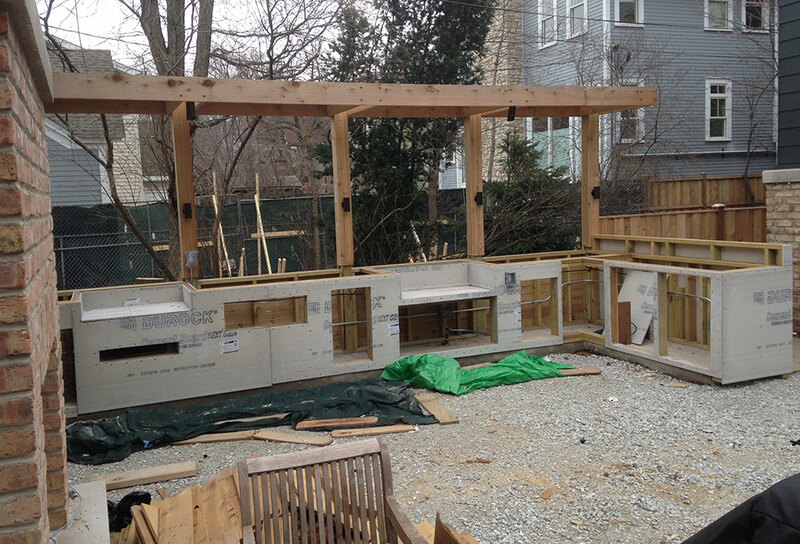 Frosted glass panels highlight the contemporary style while providing privacy from the neighbors.